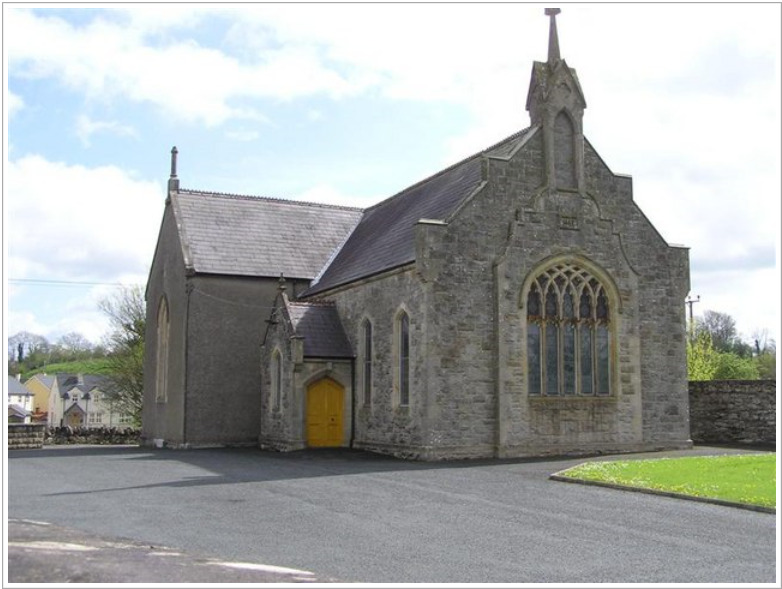 Originally part of Aghaloo, the congregation has its origins with the erection of a meeting house in Aughnacloy in 1743. The first minister was Rev. BAPTIST BOYD who died in 1749. He was followed by Rev. HUGH MULLIGAN whose death took place in 1786. The marriages recorded in this file were solemnised during the long ministry (1843-92) of Rev. WILLIAM McILWAINE. The condition of the original records, the greatest degree of difficulty in discerning the handwriting and the poor quality of filming have made transcription challenging and wherever possible, the Aghaloo (1837) & Carnteel (1827) tithe applotment books, Griffiths Valuation (c1860), Index to Townlands and Towns, Parishes and Baronies in Ireland (1851) and Heather, Peat and Stone-O’Kane have been consulted in an attempt to confirm families and townland addresses. Original spelling has been retained. Witnesses: JOHN SIMPSON & ANN LUCAS?